The Banyan Collective’s Nine Rails Arts Podcast explores what it means to be an adventurous Creative in 2018. Through a partnership with O1 Arts, we will get to know Ogden’s new Nine Rails Creative District as well as The Monarch, the epicenter of the district and future home to artisans, designers, and creatives. 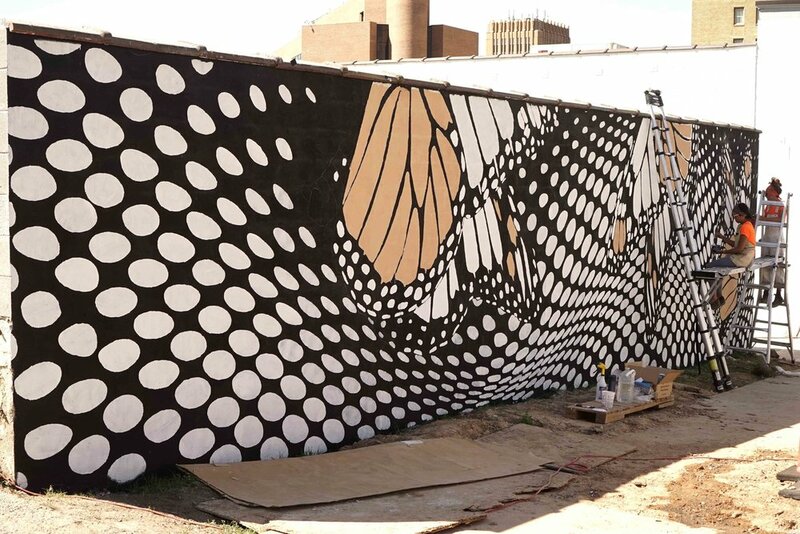 In Episode 4, we are joined by the founders of Ink Dwell studio, science illustrator & muralist Jane Kim and adventure journalist Thayer Walker, as well as painter assistants, Laura Macias, Ash Ferlito and Fiorella Ikeue, to discuss Ink Dwell’s Migrating Mural campaign and much, much more. 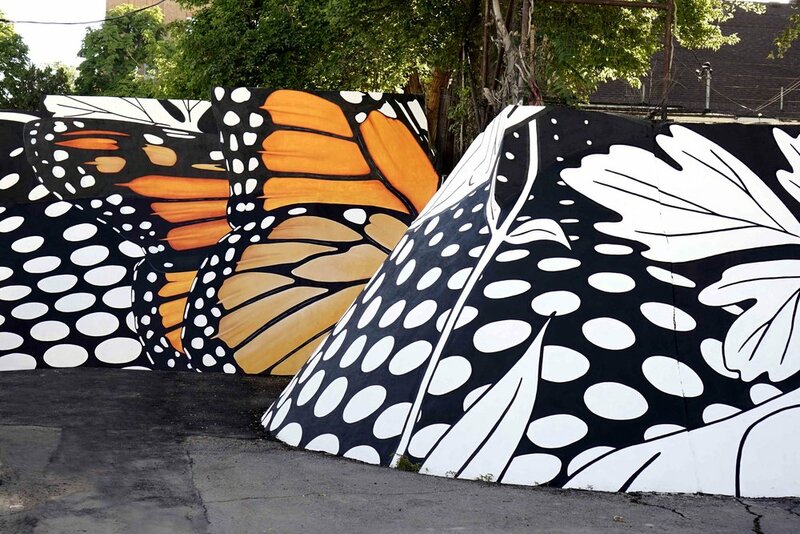 The first of two episodes devoted to Ogden’s citywide, collaborative monarch butterfly installations focuses on Phase One, Ogden Nature Center Entrance Banners, and Phase Two, a spectacular outdoor mural at the newly restored Monarch building. Episode 5 - Ink Dwell Part 2, will concentrate on Phase Three, a monumental mural at WSU’s Kimball Visual Arts Building. Images provided by Ink Dwell of the mural in progress at the Monarch Building in Ogden, Utah.